A true-blue Australian rainforest tree, a magnificent upright evergreen from 5-20 metres tall. Climatic conditions, soil fertility and aspect would play a part in its potential size. We have a tree in our orchard area that has grown approximately 6m in 8 years. Dark-green, linear to elliptic shaped leaves, 5- 12cm long (similar in shape to bay); new, young foliage is pink and hairy. Although the five-petalled, star-shaped white flowers are only 6mm in diameter, grouped together in clusters, each bunch looks like a dainty posie. Seed capsules with 5 sepals resemble the flowers. Leaves and flowers are intensely aromatic of sweet lemon, perhaps with a hint of lemon verbena and kaffir lime as well. Made as a tea for coughs, colds and other respiratory ailments, sinus and stress. A friend who worked in a nursery for sometime propagating this tree in large quantities said that working with the intensely aromatic leaf stems had an unusual effect on the workers; it gave them a laughing high! This sensation may be similar to the happy hormones, endorphins, released by the body when eating hot chilies. Endorphins not only make us feel pleasure and happiness, but are also pain relievers. Perhaps picking a stem from a lemon myrtle, crushing the leaves and sniffing deeply, or even making it into a cup of tea, and enjoying the vapour rising off the tea, may bring a feeling of well being or even pain relief for some people. 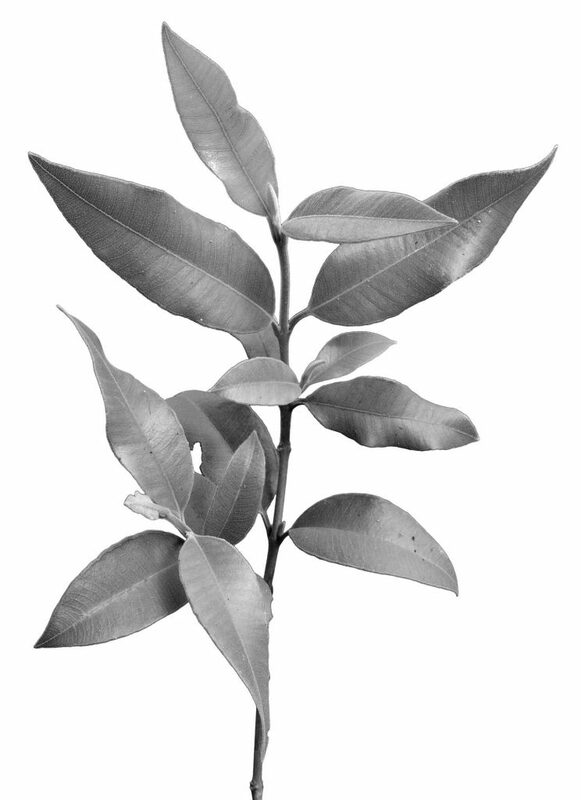 Lemon myrtle tea is used for free blood flow and to make the blood less sticky.